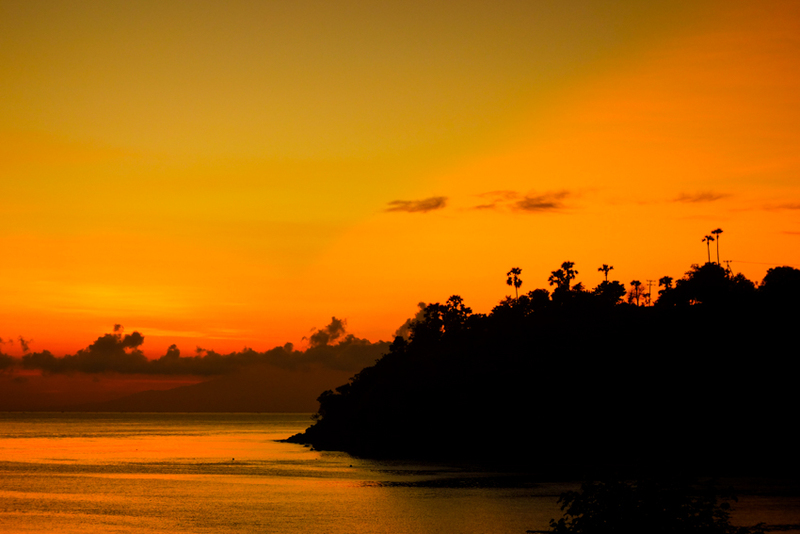 Here's again a story from Indonesia few months back. After this we've already toured almost four months in Australia and New Zealand and ended up to Fiji where I'm writing this. 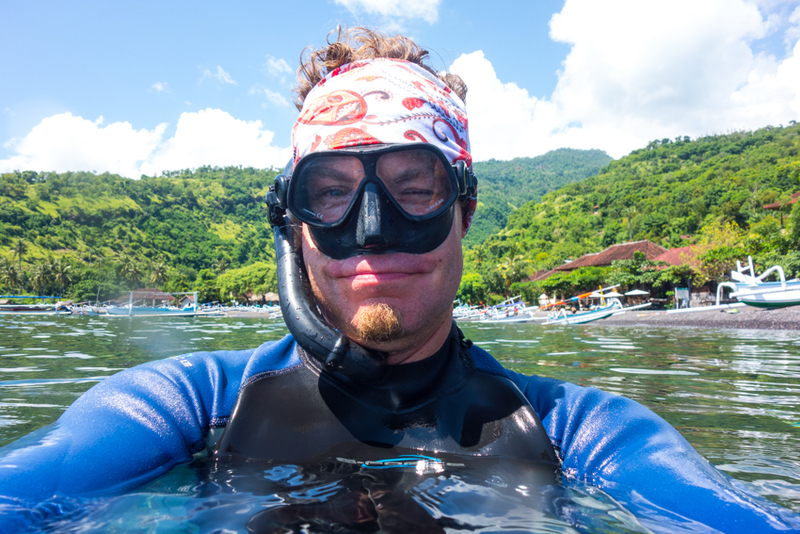 Few years ago I got interested in freediving so I left my wife and daughter to enjoy Gili islands and took a boat back to Bali - a sleepy village of Amed. Apneista has created a good reputation among freedivers so I booked myself a four day freediving course, SSI Freediving Level 2. Not familiar with freediving? Have a look at the info box at the bottom of the text first! I'm on my way to Amed. As we arrive to a silent bay my first task is to get rid of a sleazy "taxi driver" willing to take me to Apneista for a small fee of 100 000 IDR, which would be enough to get a one hour taxi ride. After asking a bit around I hear that Apneista is only 200 m down the beach. I grab my backpack and leave the taxi driver to find someone else to scam. As soon as I enter Apneista I get an instant feeling that this is where I belong. 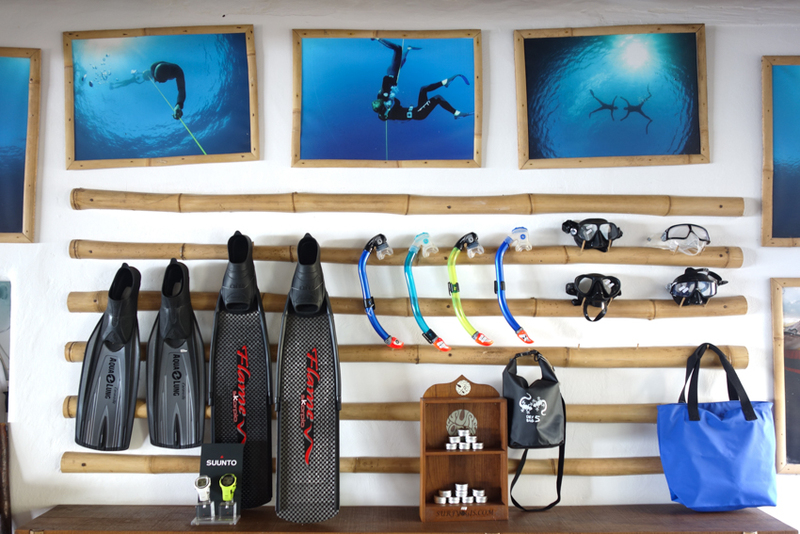 This is not just a dive center, this is a diver's lounge. 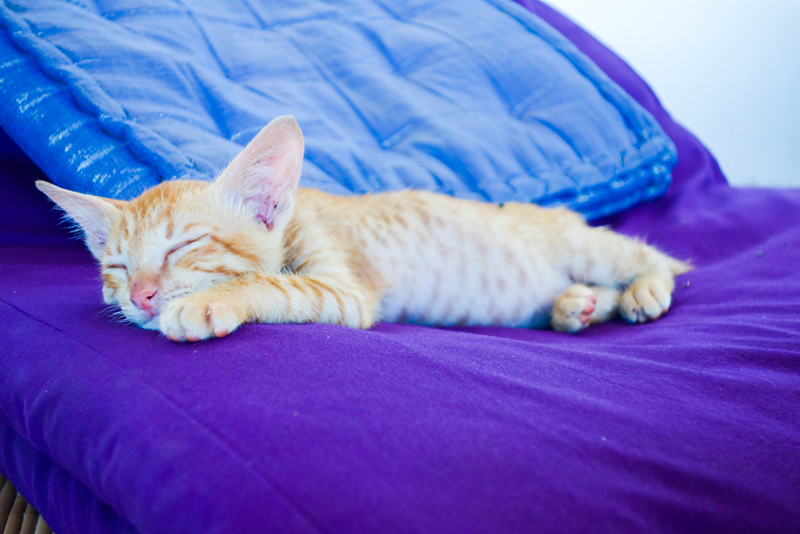 Comfy pillows on the floor, a cute kitten to cuddle, fascinating books in the bookshelf and as I am about to find out during the upcoming days, the most wonderful kitchen serving healthy and delicious food. Over the lunch we have a chat with Kwab who is one of the owners and the instructor on my course. He says he doesn't want me to attend the course just for getting another card in my wallet but to become a better freediver. He promises that I'll be very satisfied of the results. Kwab is clearly a person with huge passion and deep and broad knowledge of the sport. 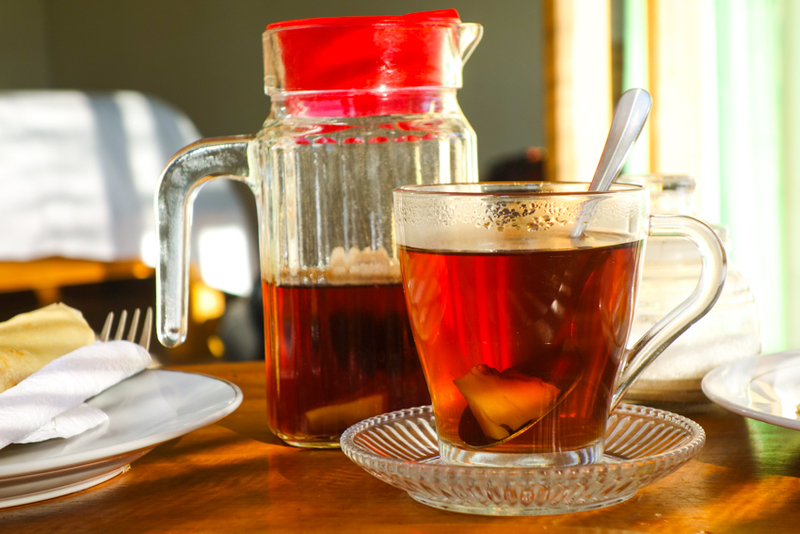 After the lunch I make the easiest hotel booking ever by walking to other side of the street and hiring a room owned by Ketut, one of the ladies working in Apneista's kitchen. Our mornings begin with thorough stretching session lead by Kwab. In addition to Kwab and myself there's also Gabriel, a nice guy who's originally from the States but has lived in Japan for the last 20 years, and Martin, guy from Switzerland who had just barely survived from avalanche on his skiing trip a while ago. Like myself, they are also just in the beginning of their freediving careers. Stretches are done both with full and empty lungs. 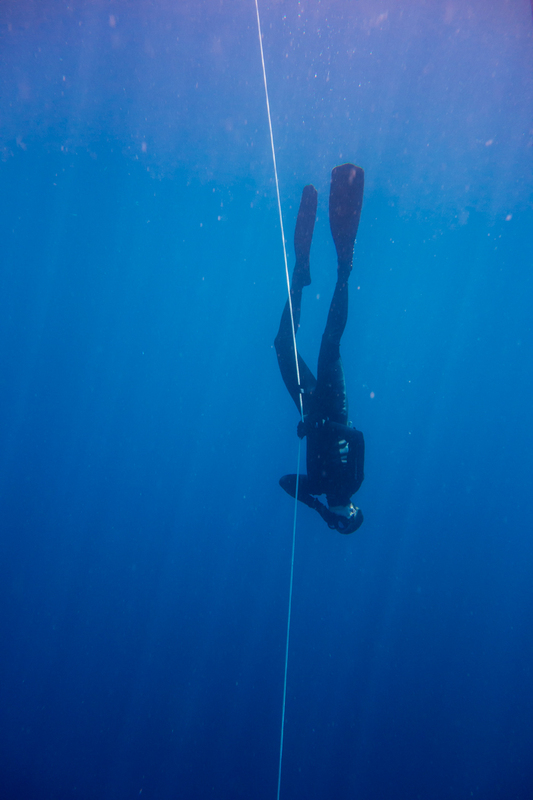 Lungs being such essential organ in freediving the stretches concentrate mostly on sides, diaphragm and overall lung surroundings to maximize the inhaling capacity and to prepare body to adapt to pressure changes caused by depth. Freediving is different to many other sports in a sense that dives are relaxed and calm and all kind of haste is totally absent. Therefore also the stretches are given enough time so that one becomes aware of how the body feels like today. 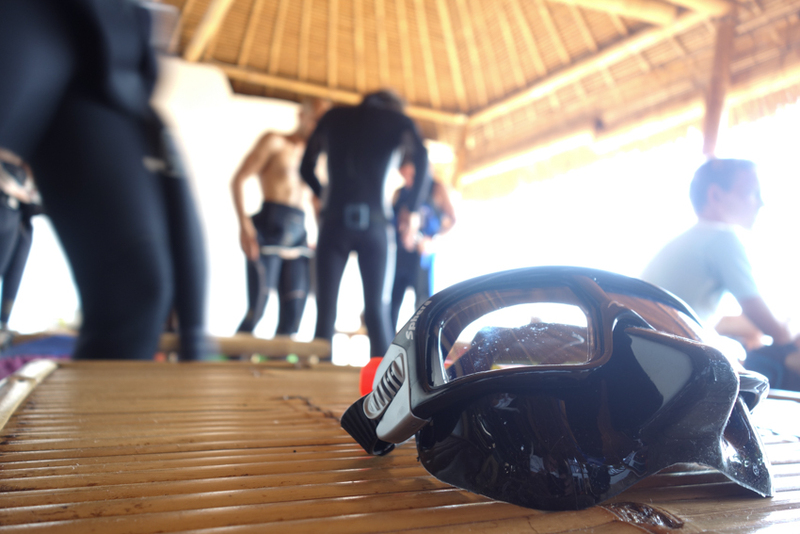 After the stretching session it's time to hop in a wetsuit and swim with our gear towards the dive line further from the beach. While swimming I take the opportunity to shoot some photos of beautiful corals just in front of the dive center and decide to return here later for snorkeling. After swimming some 200 m we reach the line which goes down to 50 m. It's more than we need. 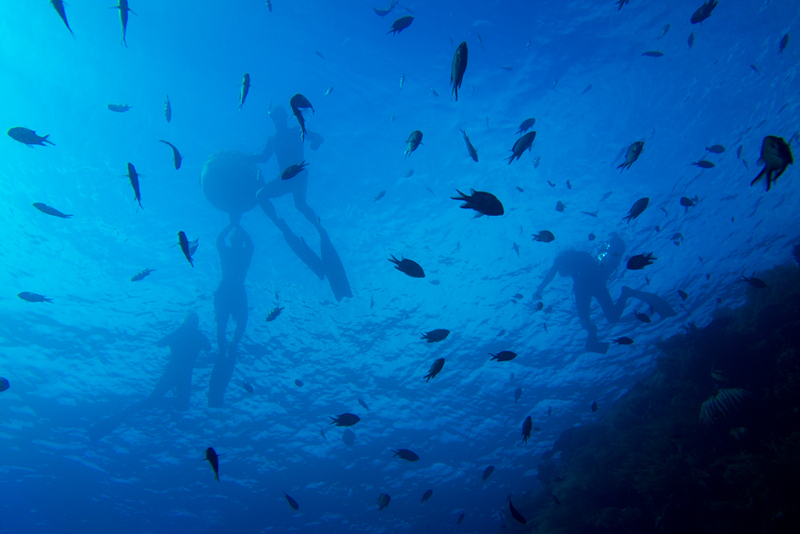 Even though especially the deep diving disciplines might sound dangerous, freediving is a safe sport when practiced following safety precautions. From a buoy floating in the surface we lower weights and a white plate attached to the line. The plate is lowered to diver's target depth. 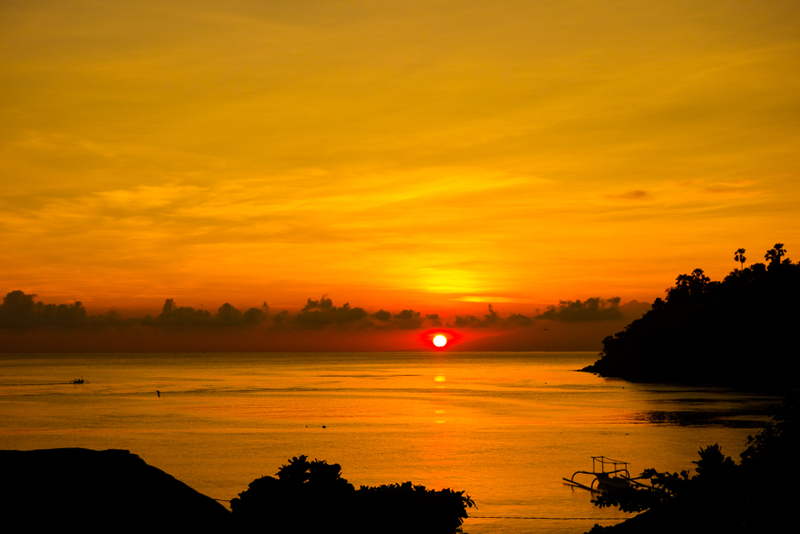 I feel the sunbeams tickle on my face while I float in the water on my back, my hand gripping lightly the descent line. Last night's theory session was about self hypnosis and relaxation and in my mind I repeat the mantra Kwab taught us: "When I hold the line, I feel totally relaxed." And I do. The wetsuit keeps me floating nicely as I do my breathe-up and relax for the upcoming dive. Gabriel, who works as my safety diver takes care that nothing disturbs my concentration. As I breathe I feel myself totally relaxed, calm and ready. I take two deeper breaths, then the final inhale, equalize my ears and pull myself softly under the surface using the rope. I follow the rope with long pulls as I dive towards the plate. I don't stretch my neck to actually see the plate as I don't want to ruin my relaxation by getting unneeded tension to my neck muscles. Below 20 meters the surrounding pressure gets so high that my lung volume is reduced and the wetsuit squeezed so much that they are no longer lifting me towards the surface. I'm on a phase which is the whole essence of the sport for many freedivers - the free fall. It could be described as gliding across the water. My body is totally relaxed, there isn't any tension in any muscle. Line flows easily through my fingers. My eyes are half closed, my mind in a sleep-like phase, almost like trance. Surface is far away and so are the worries and thoughts that belong there. I let gravity to pull myself deeper and enjoy the ride. As depth grows I feel pressure squeezing my lungs harder and making also equalisation more difficult. I acknowledge it and let the feeling pass. At some point my hand touches to plate and I stop the glide by gripping the line tighter. My speed stops but the kinetic energy continues the movement and pushes me to upright position. I pause for a moment to plate to observe my surroundings. There is nothing but me and the ocean. I start to pull myself upwards with long and easy pulls. Beginning goes slowly but before long I reach the depth where I'm again positively buoyant and ascending keeps getting easier and faster. Gabriel dives to meet me around ten meters and observes my ascend for the last few meters, ready to help if there is any reason to do so. 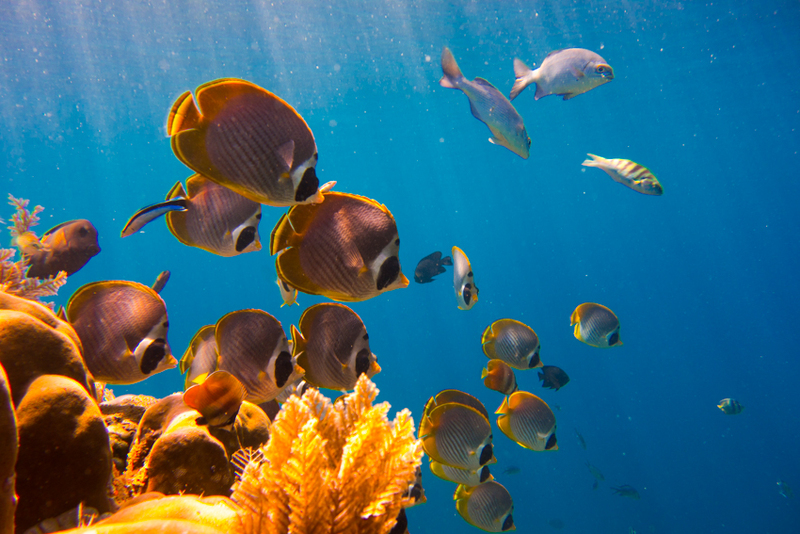 On the surface I grab the buoy and take a few rapid breaths to ventilate carbon dioxide out of my lungs and oxygen to my muscles and brains. 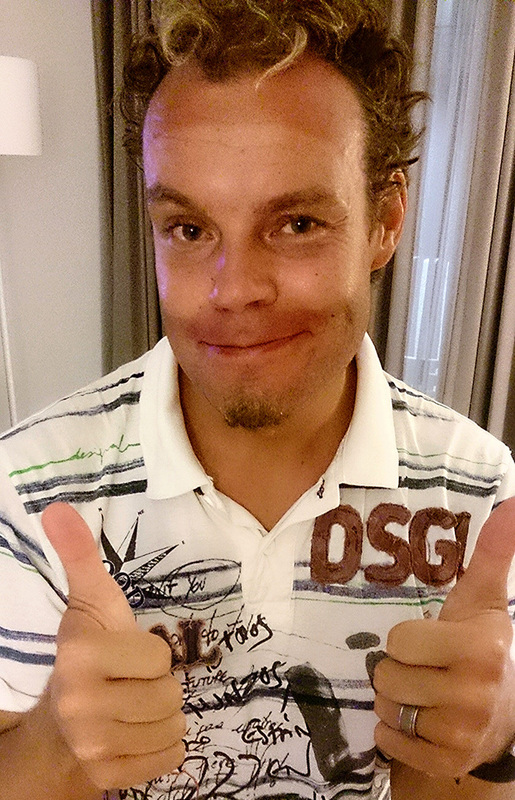 Once I feel recovered I show the OK sign. The dive was totally relaxed and I feel excellent. This is freediving at it's best. We practice Free Immersion (FIM) by pulling ourselves from the line and Constant Weight (CWT) where we kick down and back to surface by using fins. After two or three hours of training it's time for lunch, and after a short break afternoon theory session. 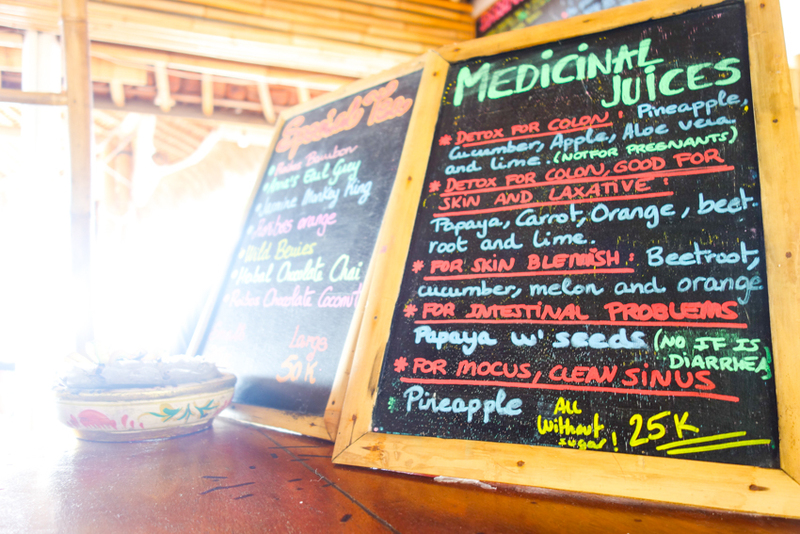 In those sessions we cover everything from history of freediving via physiology to self hypnosis. Kwab's wide knowledge and his ability to make complex things understood make theory sessions interesting and even though I've read the course material I get heaps of new knowledge and tips for practicing. 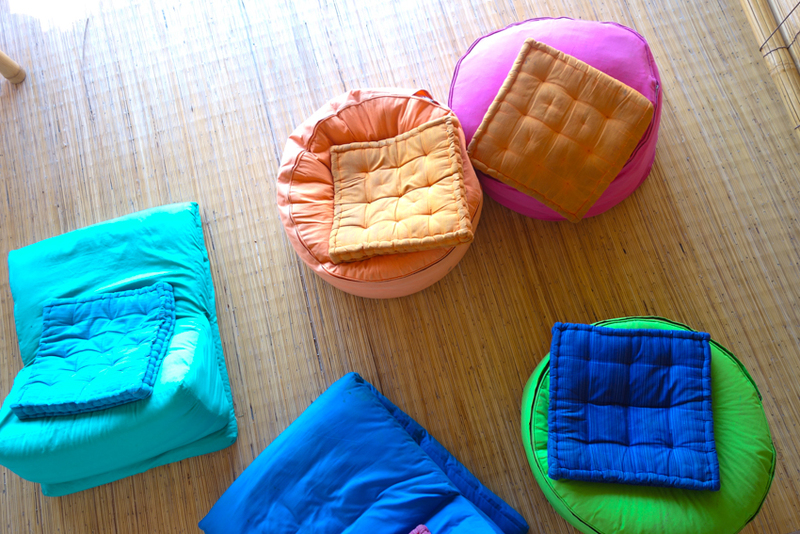 Later there is a 90-minute yoga class for those who still have some energy left. I do. I'm on fire! But the best was saved for last. On my last day being an Apneistian in Amed we go diving to USAT Liberty wreck. The wreck is a 125 m long US Army cargo ship which was torpedoed by a Japanese submarine in WWII. Ship was managed to tow to a beach where it's cargo and equipment were saved. Ship itself was left there until 1963 when nearby volcano Mt Agung erupted and caused the ship to slip away from the beach and sink to it's current position. 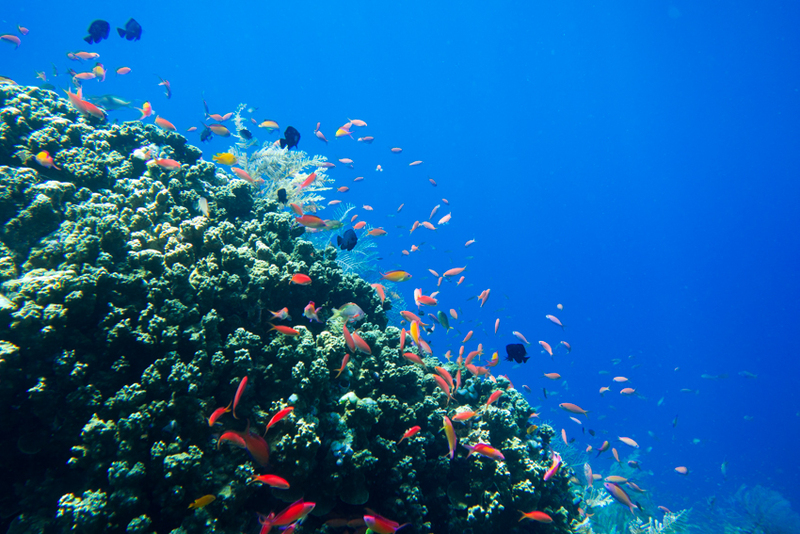 It lays on a slope on it's side between 7 and 30 meters and is a home to countless fishes and sees also a lot of divers. 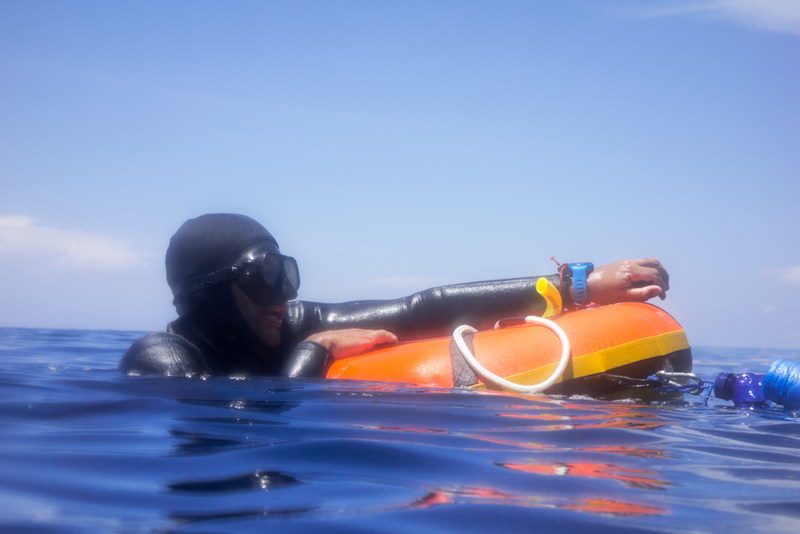 There are number of safe swim-through's in different depths which make diving and especially freediving super exciting. Although I had been diving here some ten years ago it was then just another wreck to me. Freediving here was a whole different ball game. Absolutely! Kwab's experience, passion and calmness could be seen on anything he does. With his help my dives kept getting more and more relaxed and easy. Although breaking the depth records wasn't on the agenda, my best dives reached down near to my personal bests. More importantly, the dives were so much more relaxed than earlier that I could've easily broken my records. Even though I have earlier experience on freediving, this is the place where both beginners and pros come to hone their skills. 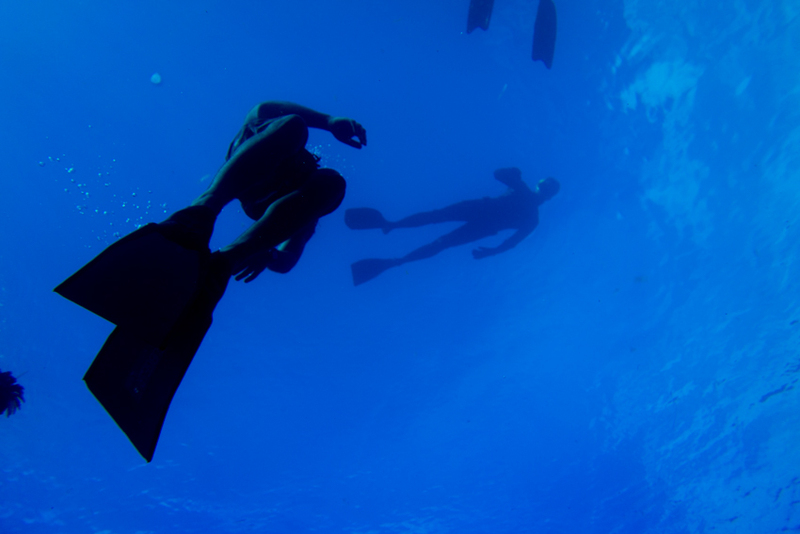 Apneista offers a variety of courses from introduction level up to freediving instructor courses. Prior knowledge or experience is not needed, it's enough if you can swim and breathe. All other needed skills will be taught along the way. I have heard number of stories where someone with fear of diving and zero experience on freediving finds himself down to twenty meters enjoying every moment. And what happened to my own course? I passed the theory exam while eating lunch on the final day. Other requirements were nicely covered during the training sessions. But Kwab was right - no matter what the outcome of the course was, I feel like a better freediver. Remember when I was floating on my back with sunbeams tickling my face? The whole offering of Apneista starting from superb conditions to excellent kitchen and laid back atmosphere felt really good. 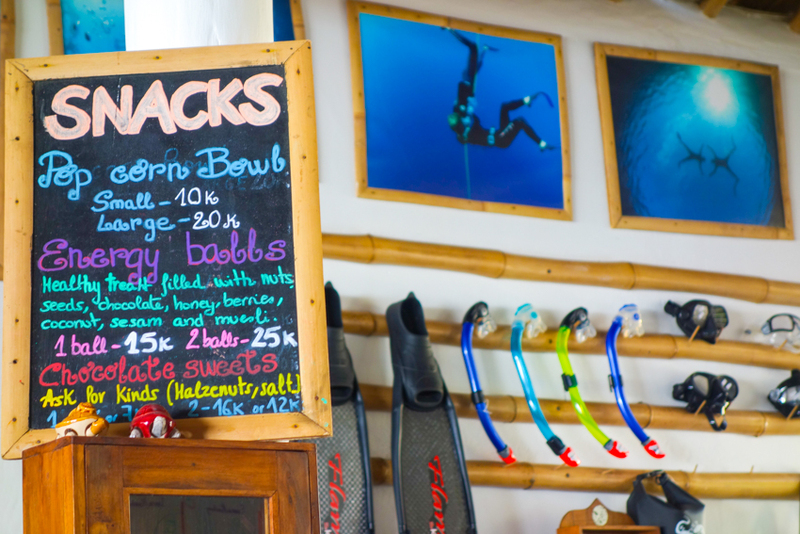 The sign of a good dive center is that divers don't come there just to dive. They come to enjoy. I have never felt more like home in any dive center as I feel in Apneista. Days flew by and all too soon it was time for goodbyes. I made a promise to return some day. It's a day I'm eagerly waiting for. Never heard of freediving? 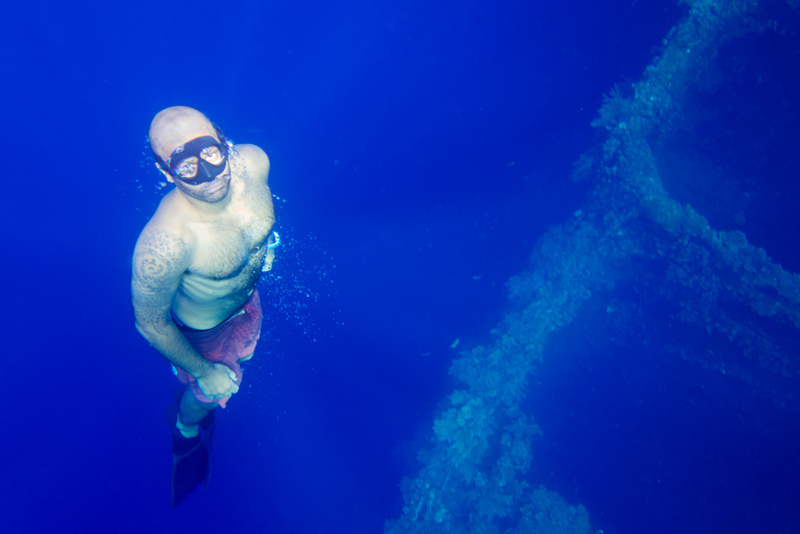 Freediving is diving without tanks. 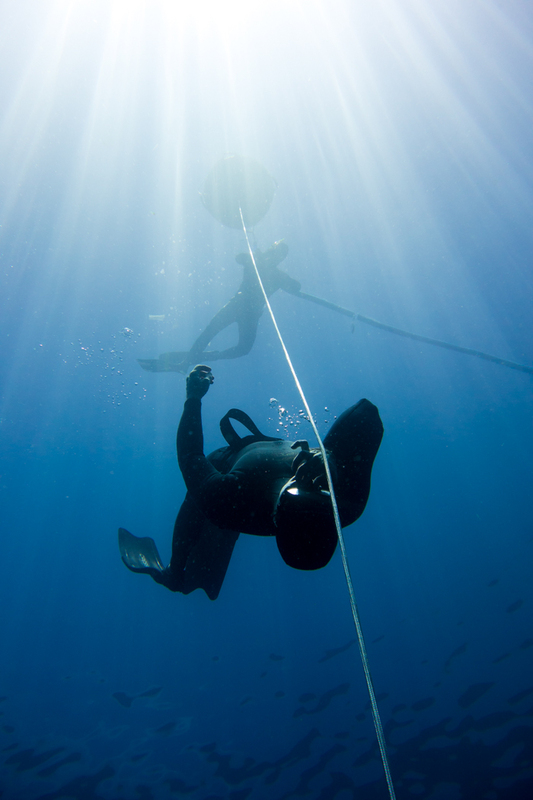 There are lots of different freediving disciplines - depth, length, static breath hold and so forth. One thing in common for all of them is that they are all done with a single breath. 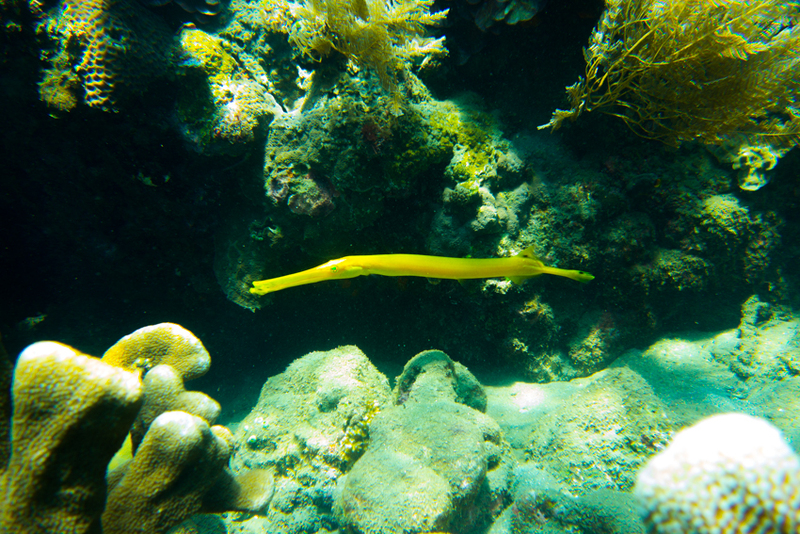 One inhales in the surface, goes diving and breathes next time again in the surface after having completed the dive. Regular diving in other words but with no breathing while underwater. I have a strong background in scuba diving from the Finnish Navy where I was a mine hunting diver and also from underwater rugby which I have played over 20 years on top level so I feel myself pretty comfortable in water. I've always snorkeled a lot while traveling and freediving has fascinated me ever since I saw Luc Besson's Big Blue for the first time. A bit over two years ago I participated in a freediving course back in Finland - pool sessions first, later on open water sessions in Finland's chilly and dark waters. I don't practice freediving systematically or even constantly as I'm highly competitive person and I want to be best in whichever sport I choose. I've practiced enough to take me to the top in one sport and I know which kind of commitment and sacrifice it requires to get there and I'm not willing to return to that kind of life any longer. Therefore I practice freediving only when I find pleasant circumstances to do so. However, usually when the conversation goes to me being a freediver there's a number of questions following, such as how deep and how long you dive and what's the longest you've been holding your breath. During my shortish freediving career I haven't been too interested in pushing my boundaries to find out my true limits. 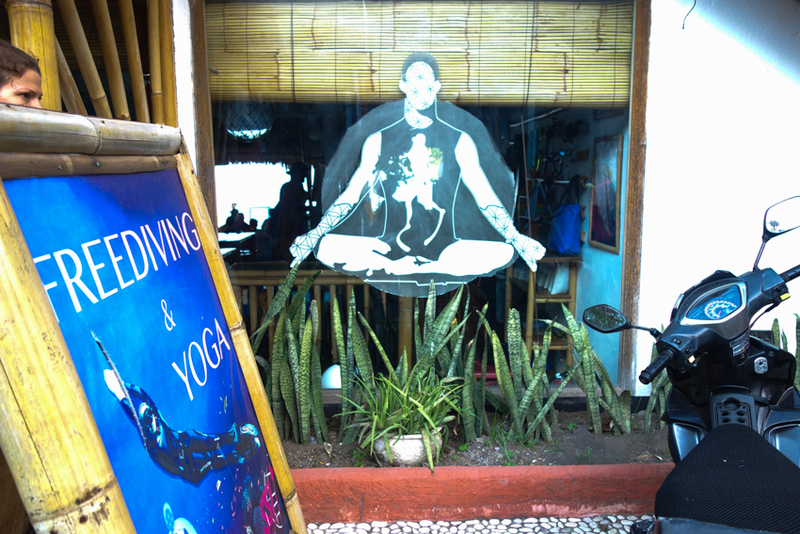 Instead I've tried to concentrate in honing the basic skills and reaching better and deeper relaxation while diving. When pushed to limits freediving can feel quite unpleasant especially when one's not relaxed. However, being competitive person I'm interested in records and personal limits, even though pushing them is not my cup of tea. My personal bests in horizontal dives with fins is 100m, deep diving with fins 37m and static breath hold 3 minutes. These might sound a lot to someone not familiar with freediving but in comparison the corresponding World records are 281m, 128m and 11min35s. And these are in disciplines where divers use only their own muscles in moving. In addition to these there are two deep diving disciplines not included in competitions but in which the results are recorded. These are Variable Weight Apnea (VWT) and No Limits Apnea (NLT). Unfortunately these are the disciplines which are usually covered in media as they push human's physiology to the extremes and, sadly, sometimes to death. No Limits is a deep diving discipline which, as the name states, doesn't have any limits. You can use whatever means to get down and to return to surface, usually meaning a ballast taking you down and inflated lift to bring you back to surface. World record is 214 meters. There's also one World record attempt down to 250 meters but it ended up diver having a brain damage and a long rehabilitation period. I met the guy in a freediving event where he shared his story. He has fortunately recovered almost 100% but competitional freediving and breaking the records are no longer part of his life. Crazy way of diving, I must say. 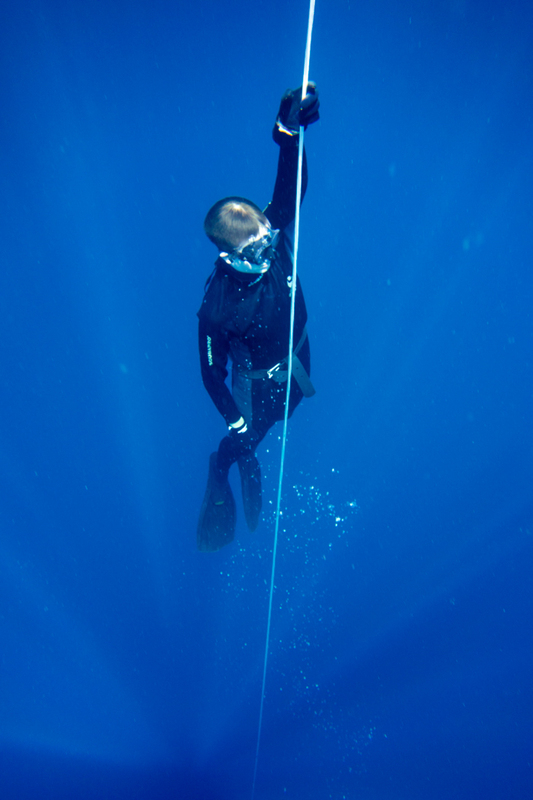 However, when doing correctly within own limits and having a safety diver freediving is as safe as any other sport. There are tens of thosands of dives done in freediving competitions in a span of tens of years with only one casualty. Looking at statistics it's safe to say that for example equestrian is far more dangerous. 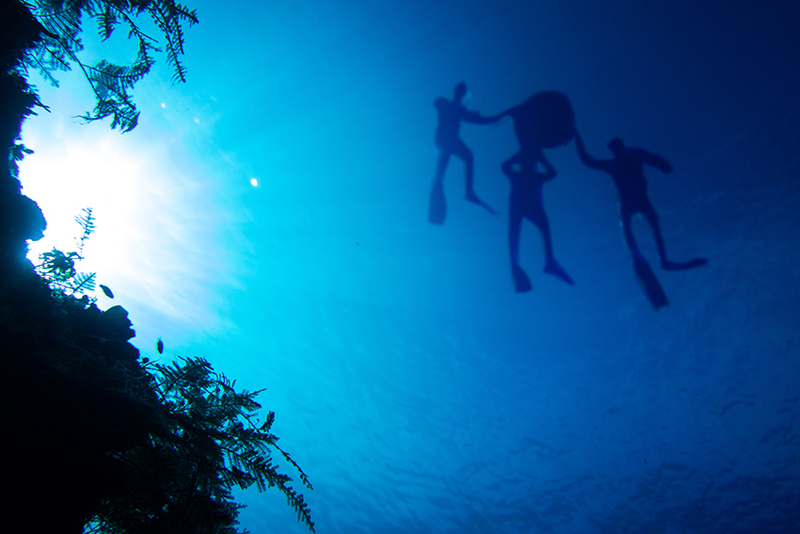 Talking about safety there's still one question that freedivers hear often: "Isn't the lack of oxygen harmful to brains?" 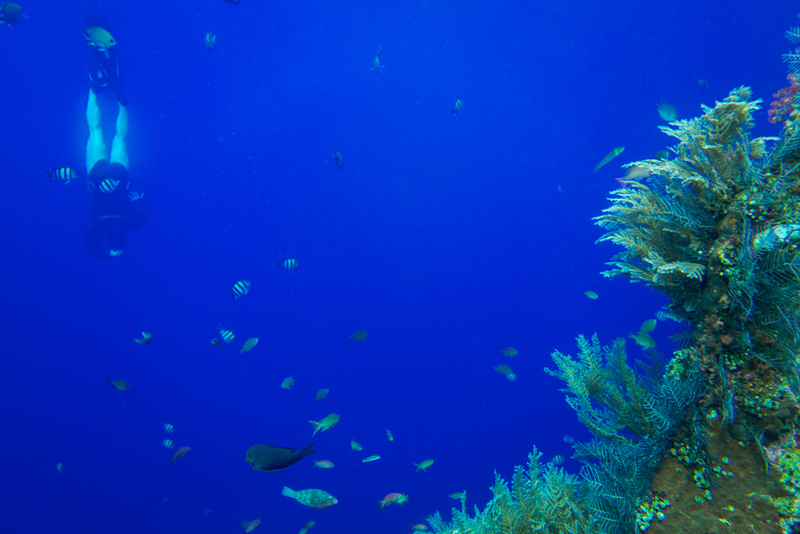 In extreme cases where dives loses consciousness the blood's oxygen level has dropped to somewhere around 50-70%. This means that there is still at least half of the oxygen left in blood which is enough to keep brains intact for several minutes. Only after brains being completely without oxygen for several minutes more there is a true risk for having damage in brain cells. In other words, freedivers' brains are not more damaged than average Joe's. did you do a certification course? Cool it indeed was! I did an SSI Freediving Level 2 in four days, which was enough not only for the course but also for some good training sessions. The main reason I love free diving is for the adventure, you don't know what it may happen or what you may found below the water surface. In the past years I've taken a lot of pictures of the marine life which I store in the https://dive.site logbook, along with all my diving logs. It's cool that I can also search new dive spots or even add my own.